Nevada - An Orthodox Jewish prisoner filed a class action lawsuit Wednesday that claims officials with the Nevada Department of Corrections are violating the First Amendment with their decision to end kosher food options for inmates. Hafter represents Howard Ackerman, an inmate at the Northern Nevada Correctional Center in Carson City. Ackerman’s lawsuit was filed in U.S. District Court in Las Vegas. He claims the Department of Corrections is violating his First Amendment right to free exercise of religion. “I can’t respond because we are in litigation,” department spokesman Kevin Ingram said. Hafter said the department announced its decision to end kosher food options for prisoners in December. He said the decision does not only affect Orthodox Jews. Other prisoners, such as observant Muslims, also rely on a kosher diet to meet the requirements of their religions, the lawyer said. Ackerman, 50, was sentenced to life with the possibility of parole in a kidnapping case. Hafter said he understands the views of those who say people should not commit crimes if they do not want to lose their rights. “Amsterdam - The Dutch government asked Germany on Wednesday to jail an 89-year-old Dutch Nazi who escaped in 1952 from a Dutch prison where he was serving a life...” Amsterdam - Dutch Ask Germany to Lock Up Elderly Nazi Fugitive	“Springfield, MA - An apparent tornado struck the downtown of one of the state's largest cities on Wednesday afternoon, scattering debris, toppling trees and frightening...” Springfield, MA - Injuries Reported After Apparent Tornado Hits Mass. what does torah say about kidnapping? "Sorry, Yosef, Potiphar put you in prison, so ..."
Pretty dumb statement, especially since it's not true. Mitzvot are an obligation, not a privilege. Unless, of course, your position is that Jews can decline the "privilege" of performing the mitzvot that they don't want. Would you have denied the "privilege" of mitzvot to Soviet prisoners in the 1970s? They committed "crimes" and were jailed. Were they similarly patur? So the MO's consider keeping the mitzvos a simple 'privilege"? You've really outdone yourself this time. Perhaps from now on sign yourself 'Reform'. Do you know the details of this case to make such a comment? There are so many possible scenarios where he may have been in the right according to Torah Law. You would have their neshama imprisoned as well as their body? True enough, I guess, but wouldn't that mean that if you could be flexible about the laws against kidnapping people, you might also find a bit of wiggle room regarding the laws about not eating traif? what comment? take up reading as an additional activity, bucco. Hey, don't be putting all MO yidden in the same basket! so would you say the same thing to SM Rubashkin? Also deny him kosher food? And tell him because he is in prison that he no longer deserves to be able to perform the mitzvos? Shame on you.....What narrow minded thinking......I think Jacob Hafter is a brilliant attorney and he is defending the rights of ALL Jews, not just those unfortunate few who are locked up. Sorry, but even the warden expects these Jews to follow the 10 commandments while in prison no matter how dumb please excuse my adjective) he could be!! Kosher food should be given -- The prisoners are not asking for prime rib. They are asking for normal, edible, kosher food!! I do not see what the big deal is!! They probably give such garbage to the prisoners that the kosher food might be a little better!! That may pose a problem to prison officials. Maybe they ought to give the regular prisoners, EDIBLE FOOD!! That way there will not be any complaints!! Additionally it doesn't matter what he believes or how much teshuvah he's done. That's between him and God. His crime, punishment and incarceration are between him and the State of Nevada. Until he's satisfied the verdict he's theirs. You give up a lot of rights when you commit a serious crime and are convicted. Not all of them, but pretty close. You don't get a pass because of your religious feelings. You don't get special privileges because you're a Jew. We don't know the "details of the crime". We don't know "his state of mind" when he committed it. The judge, jury, prosecutor and defense had the facts. That's what a trial is for. If you think he has grounds to appeal, knock yourself out. File amicus curia briefs. Give money to fund his appeal. But don't bring up things which are irrelevant and unknowable because you think a Jew is above the law just because he's a Jew. #17 Is somewhat correct Mr. Ackerman belongs to the state of Nevada. Being a prisoner does lose a person many of one's civil rights. However, the ability to remain faithful to one's religion is so personal so fundamental to one's humanity that its denial breaks not just with one's legal rights but with all norms of morality and decency. This is not a special treatment because one is Jewish et al rather it is an insistance on prison being more than a warehouse for human refuse. 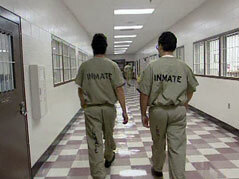 Certainly incarceration must be punative and serve as a deterent to society at large from committing offenses. However, actions such as denying inmates access to kosher food or similar needs serves only to brutalize inmates making their ability to participate in society any society even within prison or obey gaurds' orders all the more difficult. “ Mitzvot are an obligation, not a privilege. Unless, of course, your position is that Jews can decline the "privilege" of performing the mitzvot that they don't want. Are you kidding?!??!! How can you compare being imprisoned in Soviet Union to being imprisoned in the U.S.!?! Russia put them in prison BECAUSE they were Jews. Ackerman was tried and convicted of a crime in the United States. Ever hear if Dina D'malchusa Dina ?? Where does it say that #3 is MO? Keep your sinas chinam to yourself. misnagdim live for the dina d'malchusa, after all its the only din that hey have!!!!!!! so are you one of those people who believe Rubashkin should not be offered Kosher food?